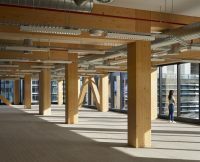 25 King heralds a move away from steel and concrete towards the more sustainable resource of timber. 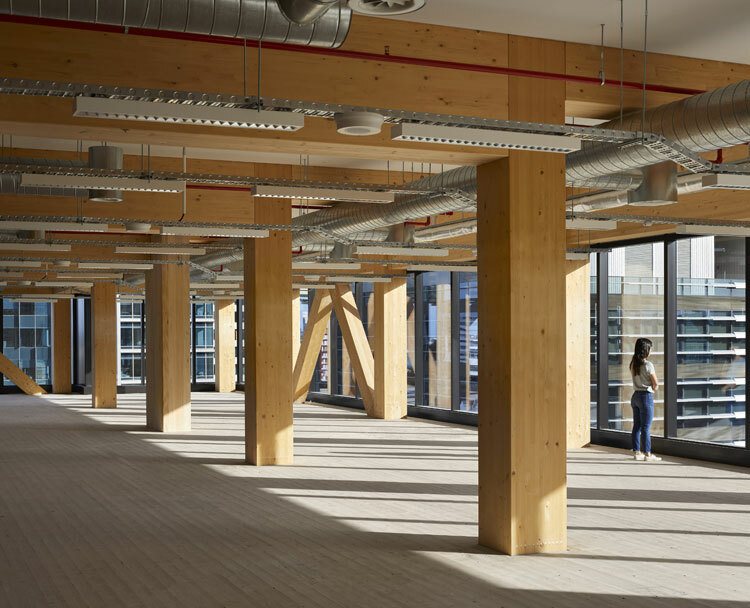 Acknowledging historic principles of timber construction, the structure combines Glulam (glued laminated timber) and CLT (cross laminated timber) – embodying Bates Smart’s research into engineered timber technology and typologies to meet modern-day demands of function and sustainability. 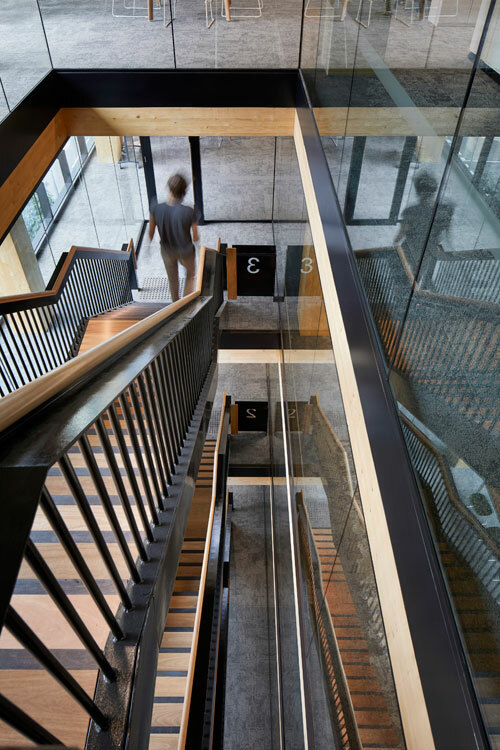 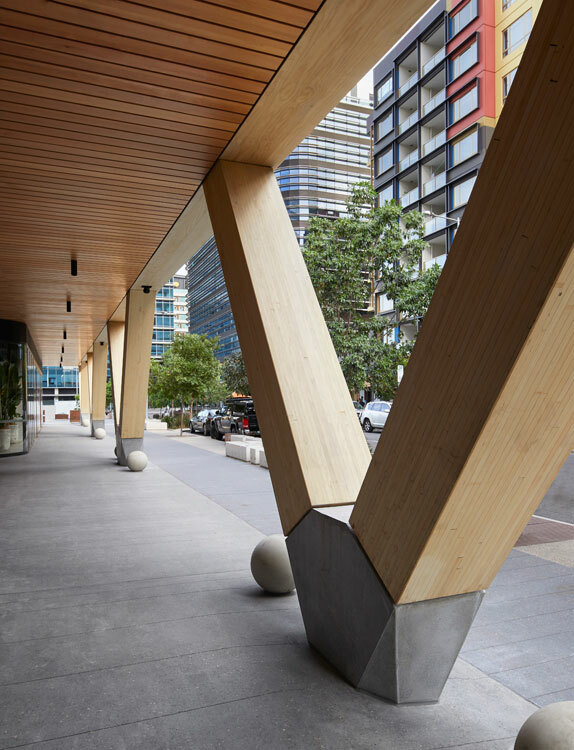 The engineered timber structure is substituted for concrete or steel but with a significantly lower carbon footprint, with sequestered carbon locked within the timber structure. 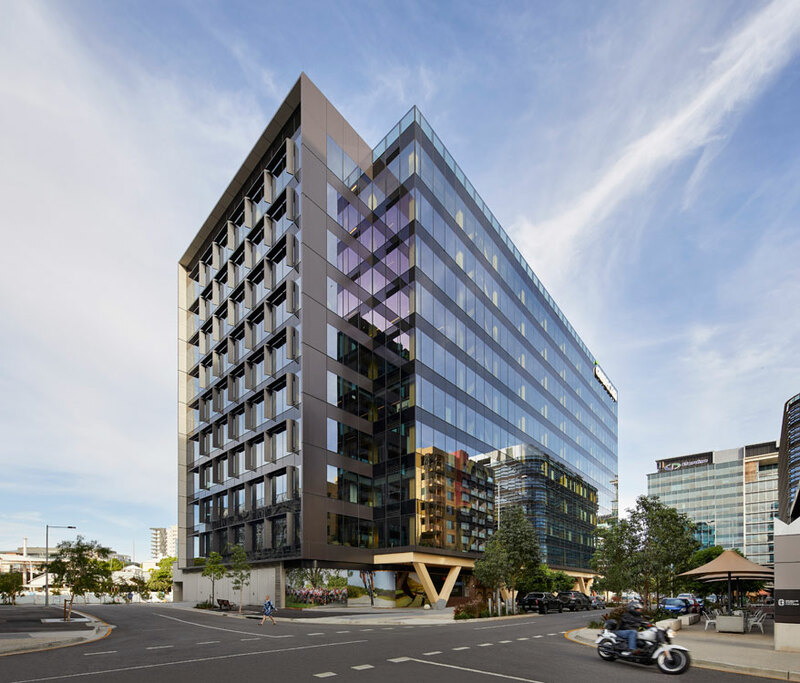 25 King incorporates a range of fire safety measures in accordance with the National Construction Code and relevant Australian Standards. 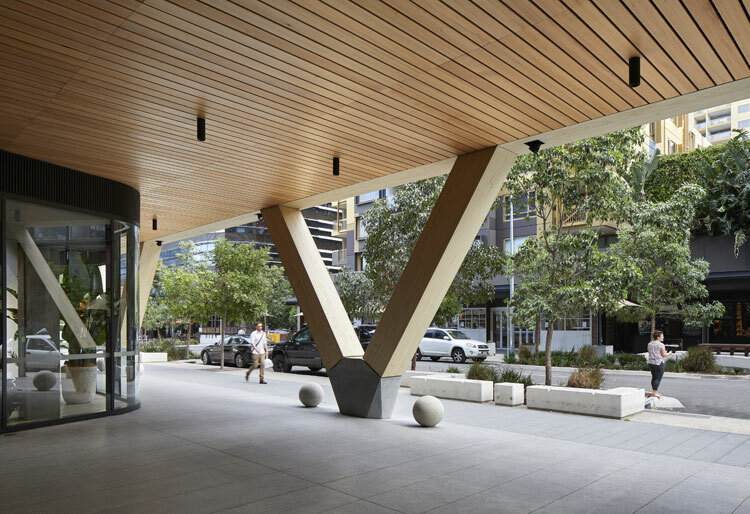 Durability requirements are as per traditional construction forms – same design life, warranties and performance criteria of the building code. 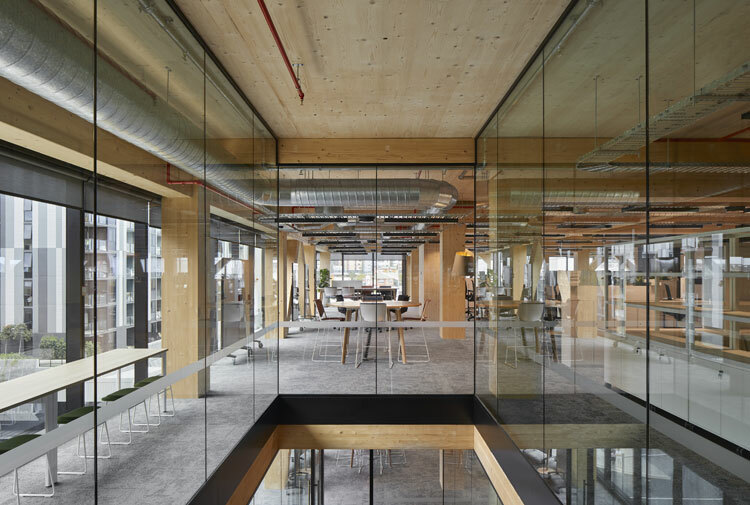 Internally, the use of an exposed CLT timber slab for ceiling soffits has eradicated the need for a suspended ceiling system, opening up the floorplates to a lofty ceiling height and creating a warmer interior aesthetic with softer surfaces and acoustics, which maximise the psychological benefits associated with timber in interiors. 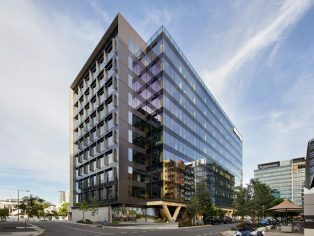 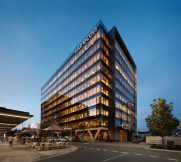 The building is projected to achieve a 6 Star Green Star Design and As Built v1.1 and a NABERS Energy 5 Star rating as well as a WELL v1 Platinum rating. 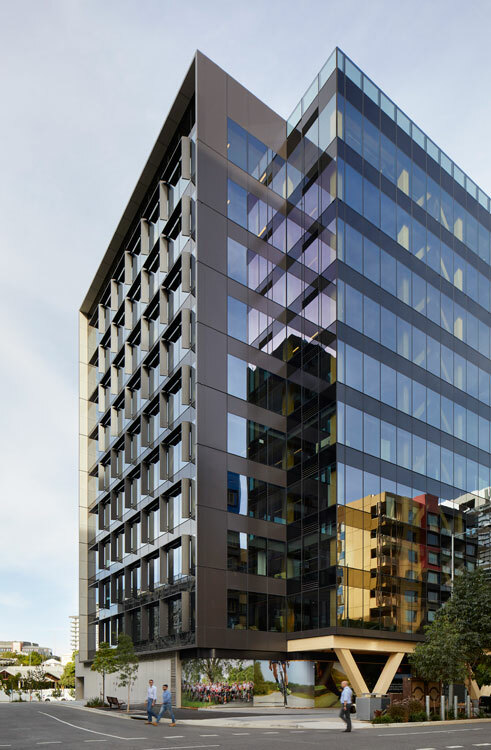 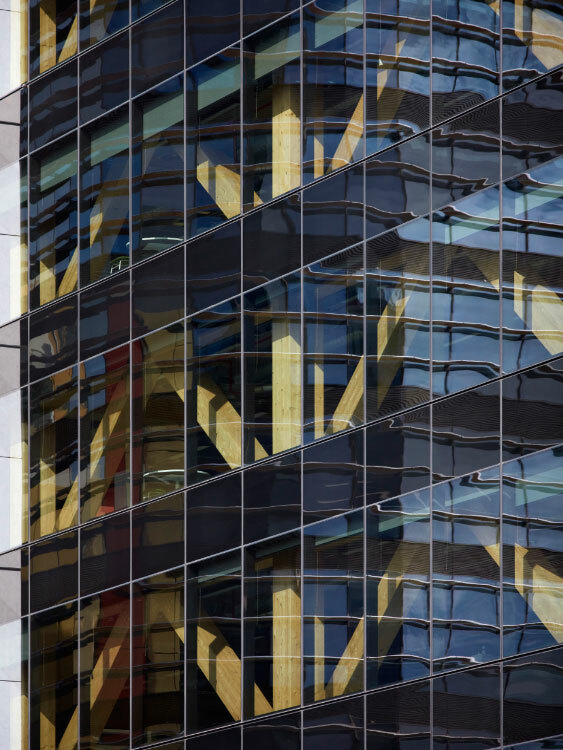 In addition to employing responsibly sourced timber, 25 King maximises natural daylighting to the floorplates through its south-facing facade while incorporating sunshades of folded aluminium on other facades to reduce heat build-up. 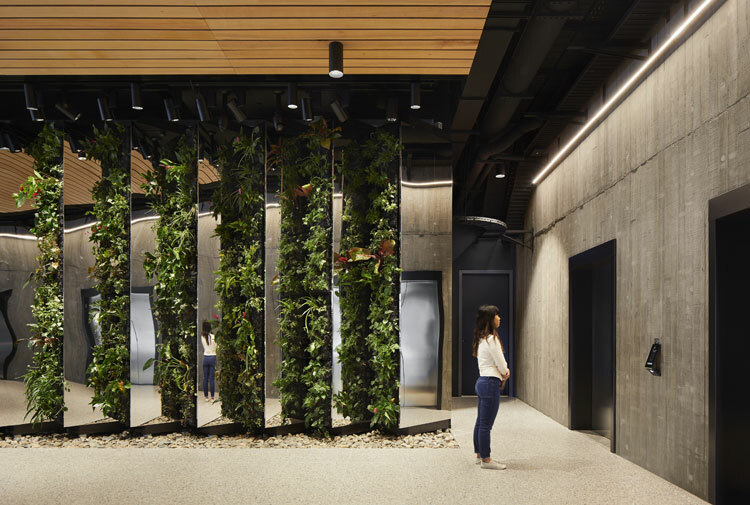 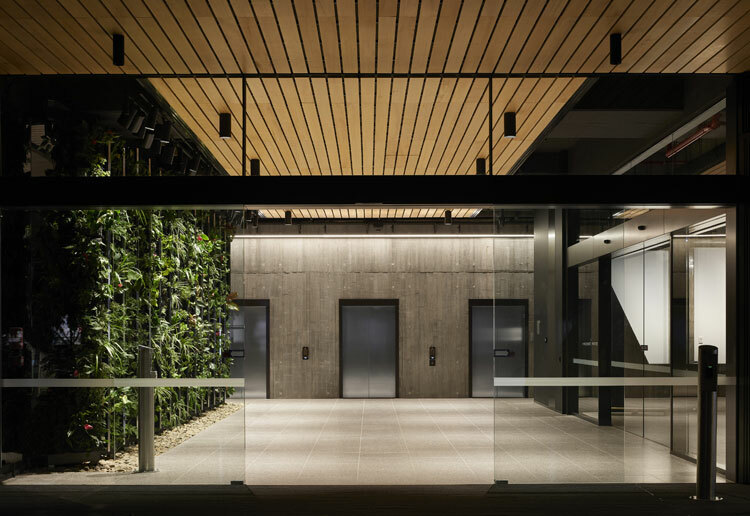 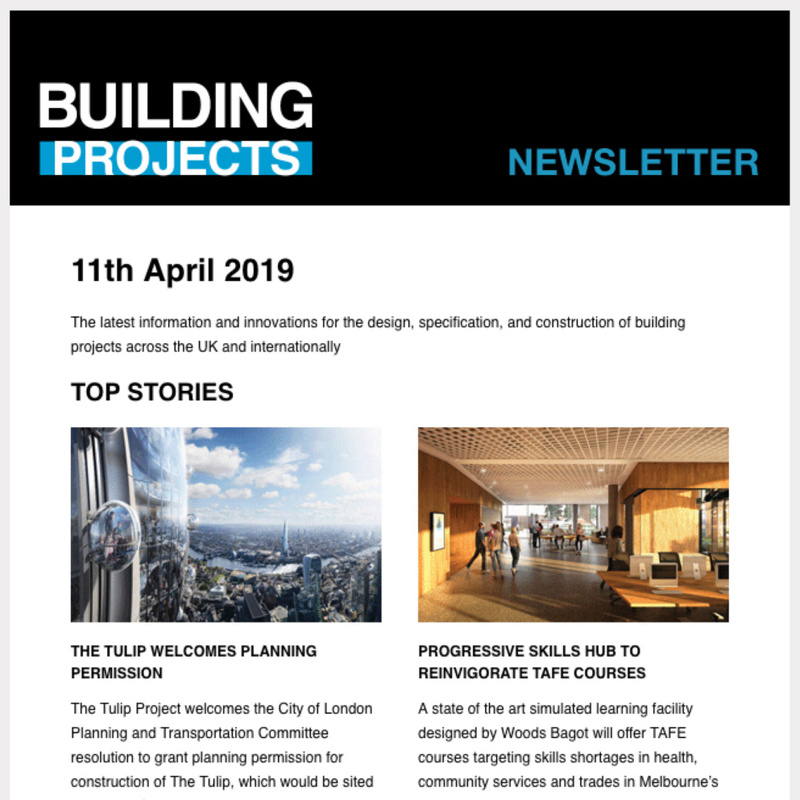 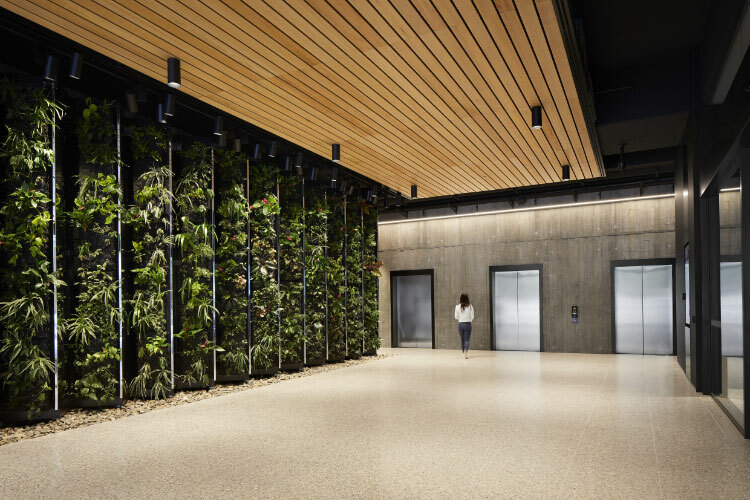 Further sustainable features include rainwater harvesting, energy efficient lighting, optimised air-conditioning and a green wall in the entrance lobby.